Many manufacturing processes already benefit from selective laser melting. The potential for combining this technique with high-melting materials is clear, but there are challenges to consider. For instance, these materials have a much narrower processing window. 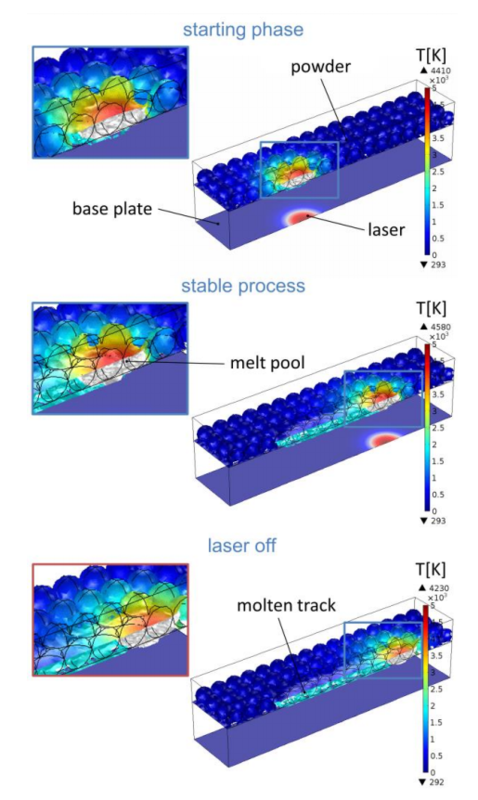 To better understand their behavior in selective laser melting, one research group built a model to analyze the thermal and fluid dynamics of laser beam-matter interaction. Their results generated further momentum in extending the use of this technique to process refractory metals. A few years ago, we talked on the blog about how selective laser sintering was taking the 3D print world by storm. Since then, the popularity of this rapid prototyping technique has continued to grow throughout various industries. The same can be said of a closely related technique, selective laser melting, which uses a laser beam to melt powdered material in order to produce a 3D part. A schematic describing the selective laser melting process. Image by Materialgeeza — Own work. Licensed under CC BY-SA 3.0, via Wikimedia Commons. Copper, aluminum, and stainless steel: these are just some metals that are already used in SLM. In recent years, researchers have experimented with adding high-melting materials into the mix. Molybdenum, shown below, is one example. 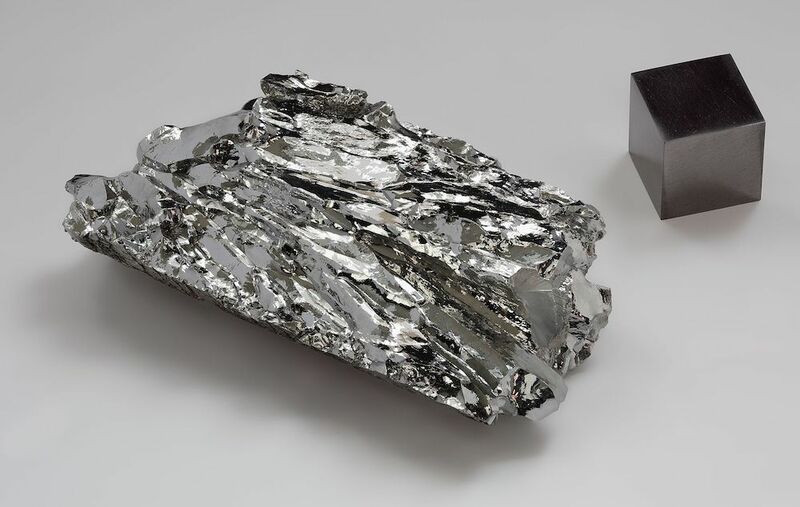 Molybdenum is a high-melting material with potential use in SLM. Image by Alchemist-hp — Own work. Licensed under Free Art License 1.3, via Wikimedia Commons. With these new materials comes a new challenge: The processing window for refractory metals is significantly narrower. This means that further analysis is needed to gain an understanding of how high-melting materials behave during SLM. To address this multiphysics problem, researchers at Plansee SE in Austria turned to the COMSOL® software. For their analysis, the researchers created a COMSOL Multiphysics model to analyze laser beam-matter interaction in SLM. The model geometry consists of a simple cubic metal powder layer, resting on top of a large base plate that is exposed to a Gaussian laser beam. Note that the model takes advantage of the symmetry in the direction that the laser moves. 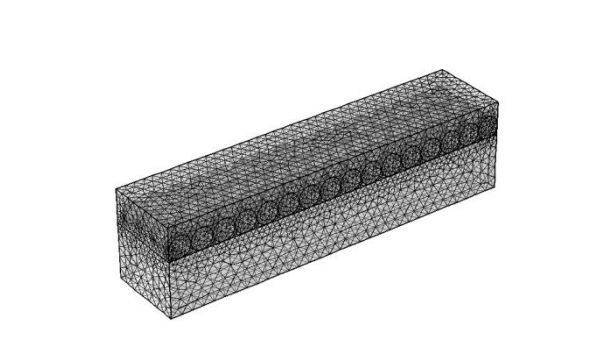 The meshed model geometry. Image by K.-H. Leitz, P. Singer, A. Plankensteiner, B. Tabernig, H. Kestler, and L.S. Sigl and taken from their COMSOL Conference 2016 Munich paper. 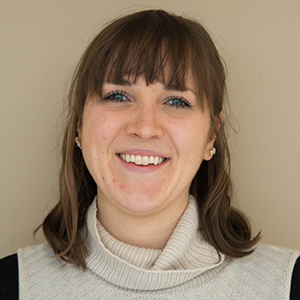 Coupling thermal and fluid dynamics via the Heat Transfer Module and CFD Module enabled the researchers to investigate these factors. For this specific case, the angle dependency of absorption, shadowing effects, and various reflections are neglected. In the analysis, the metal powder is represented by two different materials: stainless steel and molybdenum. The researchers compared the volume buildup at multiple stages of the SLM process for each material. From the figures below, we can see a clear difference between the process dynamics for steel and molybdenum. In the case of steel, there is a long melt pool and significant effects via evaporation. In the case of molybdenum, the melt pool is confined to the size of the focal spot area and the temperatures are much lower than those causing evaporation. This difference can be traced back to the phase-transition temperatures and thermal conductivities for each material. Because of its high thermal conductivity, molybdenum experiences greater heat losses in SLM, which then restricts the melt pool size. These heat losses, in combination with molybdenum’s high evaporation temperature, prevent evaporation from occurring. The volume buildup during the selective laser melting of steel (left) and molybdenum (right). Images by K.-H. Leitz, P. Singer, A. Plankensteiner, B. Tabernig, H. Kestler, and L.S. Sigl and taken from their COMSOL Conference 2016 Munich paper. The above results provide a better understanding of the dynamics of SLM as well as the characteristics of the process that are specific to the material used. Since the core of the model describes laser beam-matter interaction, it can be used to study other manufacturing processes that involve lasers. While this specific model file is not available for download, we encourage you to direct any modeling questions you may have to our Support team. please i want to know how the steps to make selective laser melting.